Home » Asia » Measles outbreak in the Philippines: 4,300 cases, 70 deaths; MMR shortage or Dengvaxia scare? Just days after measles outbreaks were declared in several regions of the archipelago including the National Capital Region (NCR) of Metro Manila, health officials reported some updated data. Philippines health officials reported today that the measles outbreak this year, linked in large part to vaccine hesitancy, has taken 70 lives since January 1. The Epidemiology Bureau of the Department of Health (DoH) reports a total of 4,302 measles cases have been reported from 1 January to 9 February. 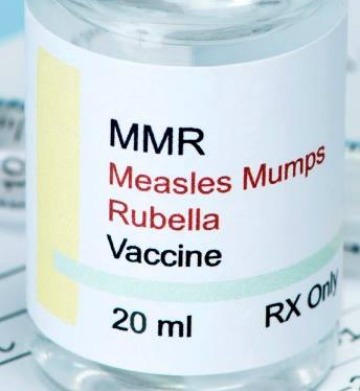 Sixty-six percent of them had no history of vaccination against measles. Of the fatalities, 79% had no history of vaccination. Regions with high reported cases are NCR (1,296 cases and 18 deaths) CALABARZON (1,086 cases and 25 deaths), Central Luzon (481 cases with 3 deaths), Western Visayas (212 cases and 4 deaths) and Northern Mindanao (189 cases and 2 deaths). In addition, Eastern Visayas, MIMAROPA, CALABARZON, Central Visayas and Bicol are regions that have shown increasing trend as to reported cases for this week. The causes of measles outbreak involved a number of factors or elements. Loss of public confidence and trust in vaccines in the immunization program brought about by the Dengvaxia controversy has been documented as one of many factors that contributed to vaccine hesitancy in the country. This refers to mothers who became hesitant to have their children vaccinated with vaccines that were long proven to be effective. While the DOH consistently points fingers at the Dengvaxia debacle, many say this is a diversion. Instead of blaming Dengvaxia, Filipinos are saying there has been a MMR vaccine shortage. Several commentors on social media noted the MMR vaccine shortage with one person on Facebook stating: But the main reason is the lack of MMR vaccine supply from DOH! Please stop pointing fingers and just admit your mistake. All the health workers know that there’s a decline of MMR vaccine supply since 2014. DOH has been conducting vaccination activities against measles such as Outbreak Immunization Responses (ORI) in several regions. This was followed by a nationwide Supplemental Immunization Activity (SIA) for 6 to 59 months old which was conducted in 2 phases – in April 2018 (NCR and Mindanao) and in September 2018 (other parts of Luzon and Visayas). Despite the efforts of health workers, the SIA campaign had achieved a coverage of 69% during Phase 1 of implementation and 29% in Phase 2. “I appeal to the public to rebuild your trust and confidence in vaccines that were long proven to be effective, and I am quite sure that all of us sometime in our lives have been recipients of these vaccines which had protected us from various diseases,” Health Secretary Francisco T. Duque III concluded.